A picture of Ehtisham Bilal, who went missing from his university campus in Noida in late October after being assaulted by some students, has appeared on social media in which he is seen holding a rifle with ISIS flag in the background. 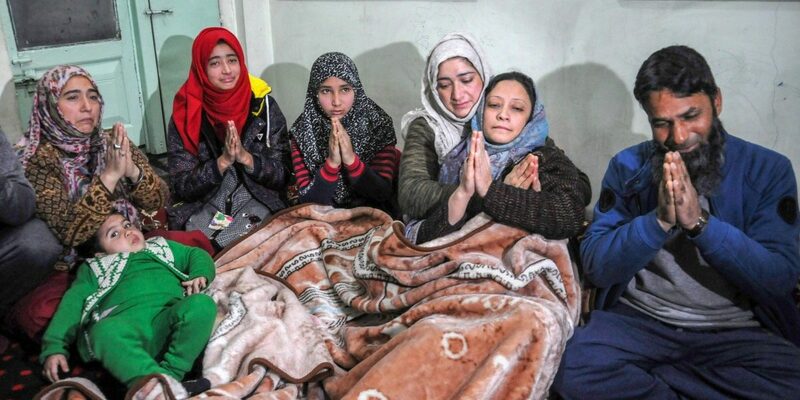 Srinagar: Surrounded by relatives at her home in a downtown locality of Srinagar, Irfana is inconsolable. Her daughter, a class 6 student, is also in tears. Each time a media person knocks at their door, the Sofis make a passionate appeal to their son, Ehtisham Bilal, to return home. An engineering student at Sharda University in Greater Noida, and the only male child in the extended family, Ehtisham went missing on October 28, just weeks after being assaulted by a mob of students on campus on October 4. On the evening of November 3, a photograph appeared on social media in which he is seen holding an AK-47 rifle with the ISIS flag in the backdrop – the signature way in which youth announce their entry into an armed outfit. The development has left the entire family devastated. “We will all die, one by one, if you don’t return,” Irfana cried, urging her son to listen to her pleas. The day the 19-year-old student was thrashed, his father Bilal Ahmad Sofi, who runs a general store near his home in Khanyar locality, flew to Delhi to meet him. “He had been brutally assaulted and had to be admitted to a hospital,” said Bilal Ahmad. A video of the attack was shared on social media, evoking strong condemnation back in the Valley. Ehtisham returned to the campus the next day, his father said, adding that some of the attackers approached them and apologised for the incident. While the university authorities had “extended all support” to the Sofi family if they wished to initiate police action against the attackers, they had refused to file a case fearing it would ruin the career of the students who had beaten their son and lead to more animosity. “They (the students) said they mistook Ehtisham for an Afghani student and apologised for their behaviour. While my son also opposed the idea of filing a case against them, he told me, ‘Look we Kashmiris are not spared even outside,’” said Bilal Ahmad. 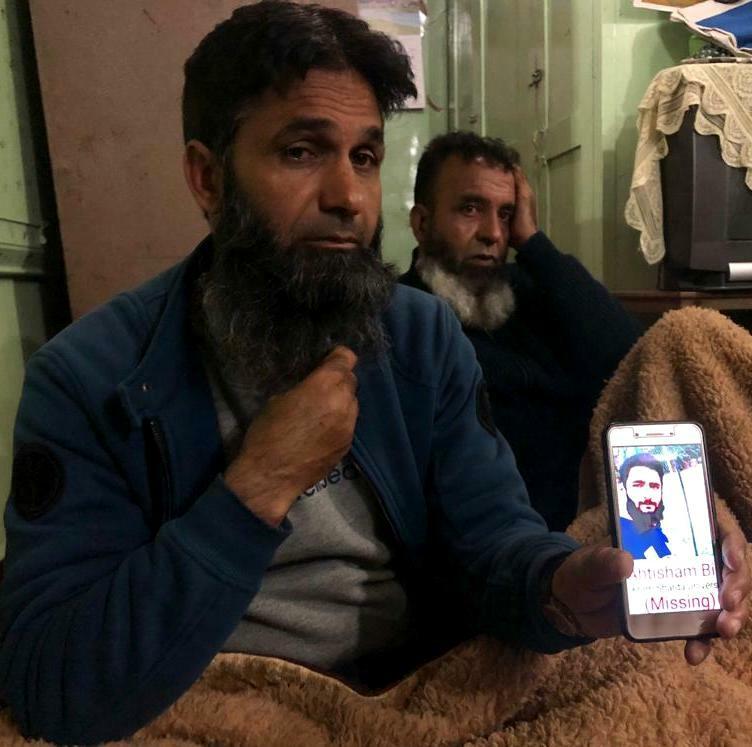 Worried about Ehtisham’s safety, Bilal Ahmad continued staying with him for the next six days and returned home only after the issue had ended “cordially”. However, post the incident, there was a change in Ehtisham. His calls back home grew less frequent till the family lost complete touch with him on October 28. Nineteen-year-old Ehtisham Bilal of Srinagar who is said to have joined militancy. That morning, he called his father’s mobile to inform him that he was going with his friends to visit some places in Delhi and would return in the evening. At 4 pm when Bilal Ahmad called him to inquire if he had returned, Ehtisham told him he was on his way back to the campus. About a half hour later Bilal Ahmad dialled his son’s number again, but his phone was switched off. He kept trying to reach his son till after midnight, but each time he was met with disappointment. Failing to contact him, Bilal Ahmad – along with one of his brothers – approached the local police station in the dead of night to file a complaint. The next day he got in touch with university authorities who then filed a missing person’s report with local Knowledge Park police station. Ehtisham had joined the university this year itself and had only recently completed his first semester exams – just days before he was attacked. He had been repeatedly asking his parents to visit him for a few days. On the day his picture holding a gun surfaced, an audio message purportedly of Ehtisham also started doing the rounds on social media in which he can be heard pledging allegiance to ISIS. Reacting to the picture of Ehtisham, former chief minister Omar Abdullah termed it “hugely worrying” and said if his decision was the outcome of the October incident at the university, then it was “more tragic”. The J&K Police, however, is yet to confirm the authenticity of the picture and audio clip. “We are verifying the authenticity,” additional DGP Munir Khan told the media on Saturday. Both the picture and the audio message have left the Sofi family “shocked”. “I listened to your audio…you are talking about Islam, but did you forget that Islam says paradise lies at the feet of your mother and father is key to the paradise. The obedience of parents is supreme for a child in Islam. I appeal to you please come back,” Bilal Ahmad told his son in a video message. His mother hasn’t been keeping well ever since she heard the news that Ehtisham had joined militancy. “Who will take care of your sisters? Who will shoulder my coffin? You have many responsibilities to fulfil, please come back to us,” Irfana cried endlessly, surrounded by Ehstisham’s cousins and aunts – all in tears. Ehtisham’s sister is equally shattered. “Baya (brother) please come back. Please come back to us. We can’t live without you,” she cried. Ehtisham’s is not the first case of a Kashmiri youth quitting studies mid-way to join militancy. But he is one among a few young and educated, who have joined the JKIS outfit in the Valley. 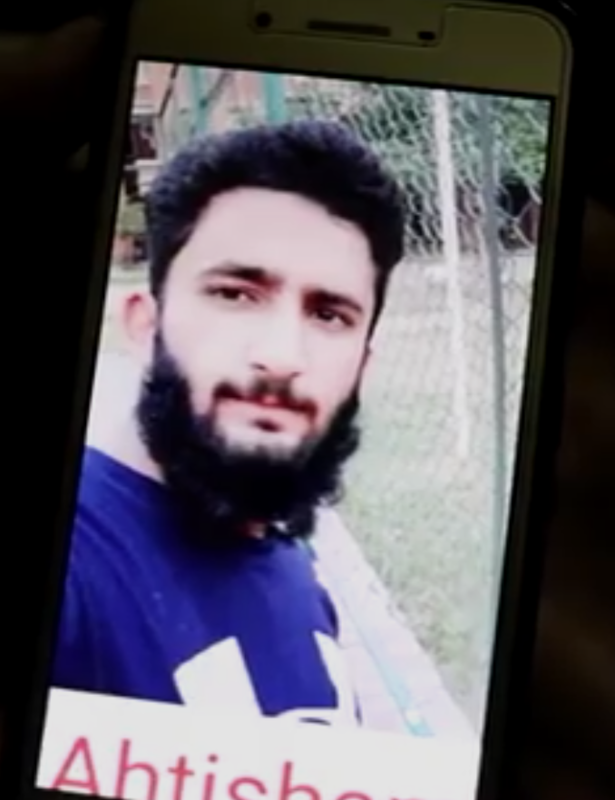 In March this year, Mohammad Eisa Fazili of Srinagar and Syed Ovais Shafi of south Kashmir, engineering students at a Jammu university prior to joining the group, were killed in a gunfight with the forces in Hakoora village of Anantnag. Before them, Mugees Mir of HMT in Srinagar, another ISIS militant, was killed in a brief shoot-out in November last year. The outfit, which has drawn its cadre from Tehreek-ul-Mujahideen, has claimed three attacks in the recent past in the Valley.